Sword Art Online: Alicization Lycoris Game On Xbox One, PS4 & PC! Bandai Namco Entertainment and Bandai Namco Entertainment America have announced the release of Sword Art Online: Alicization Lycoris for PlayStation 4, Xbox One, and PC (via Steam). Even though I’m not a huge SAO fan, I do enjoy watching some of the content from this franchise. The concept of being trapped in a VR game attracted my interest. I also liked watching SAO The Movie: Ordinal Scale. 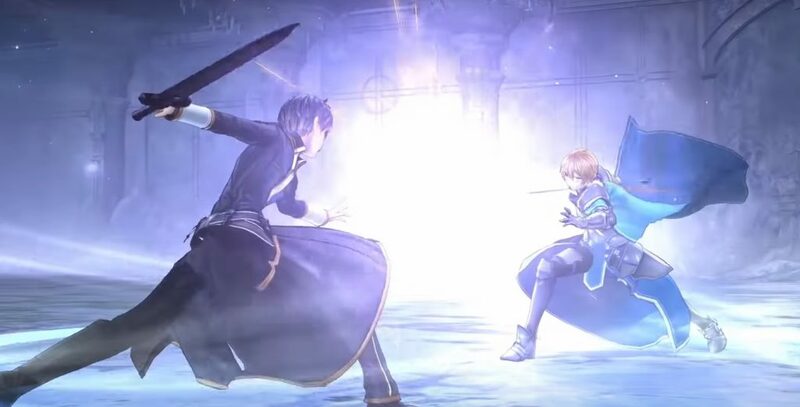 The trailer for SAO: Alicization Lycoris has intrigued me, too. For those who don’t know, the SAO: Alicization anime premiered in Japan back on October 6, 2018. It is streaming on Crunchyroll, Hulu, and FunimationNow. The series is adapting the entire “Alicization Arc” of Reki Kawahara’s original novels and will air for four quarters of a year. The television anime adapting the entire “Alicization Arc” of Reki Kawahara’s original novels has ended its first half. The second half will premiere this October under the title SAO: Alicization – War of Underworld. Are you looking forward to playing the SAO: Alicization Lycoris game?